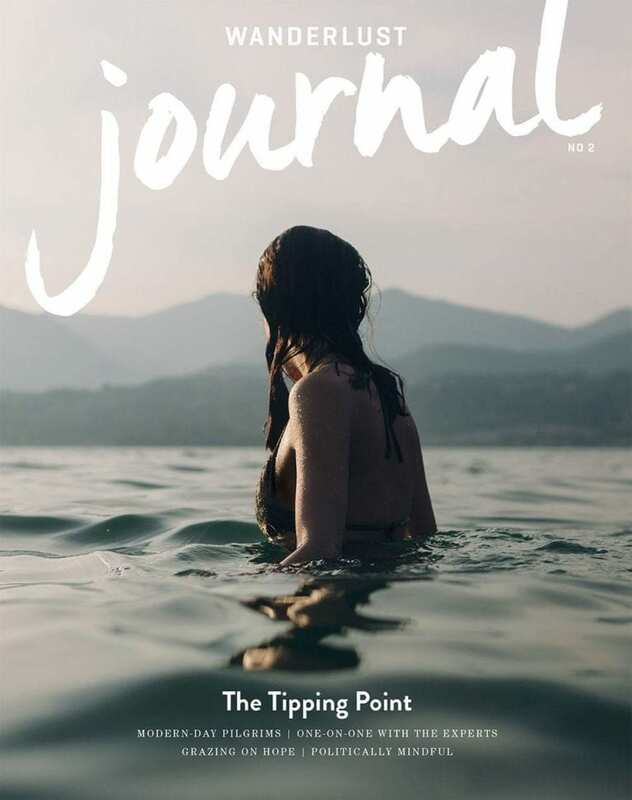 Managing Editor Lisette Cheresson gives a behind-the-scenes look at the making of Volume 2 of the Wanderlust Journal. I was terrified the first time I traveled abroad alone. Languages, sounds, smells, foods, even colors were formidable in their unfamiliarity. No tangible eureka moment changed this, but now forging solo into a foreign country is where I find peace. Such is the quiet power of most transitions. In our practice, we call this the edge. Experimentation with, and transcendence of, perceived limitations takes us deeper into our bodies and minds. Off the mat, transitions are opportunities for evolution, allowing us to reflect internal growth outward. They are tipping points of understanding that lead to insight and compassion—fluctuations of an inner compass turning places of uncertainty or fear into those of personal sanctuary. We are then able to go further, dive deeper, and share the ideals we hold in our hearts. It may not always be comfortable—change expands our boundaries and creates new frontiers. Our second annual Wanderlust Journal explores the space between fixed concept and evolution, between traditional thinking and innovation. We delve into our subconscious, finding connection between our innermost beliefs and the outer world. Here we are able to make each other laugh, pass on wisdom, practice self-love, and explore moral, political, and social choices that resonate with our intentions. These tipping points can be subtle or sweeping, but either way they move us forward on the path to our personal True North. You may find yours in a physical journey or an emotional one—but that transition is waiting for you to discover, wherever and whatever it might be. Take the plunge! We’re right there with you. This column appears in Volume 2 of the Wanderlust Journal, available at 2016 Wanderlust Festivals, 108 events, and select partner studios. Find more stories from this issue here.